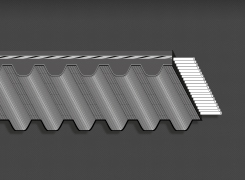 Classical cross-section joined belt for shock load applications. Also ideal for pulsating loads, high-capacity drives and/or for short center heavy-duty drives. Individual belts are joined together by tough backing fabric so all the ribs pull together. Each rib wedges in the sheave groove for maximum traction and efficiency. 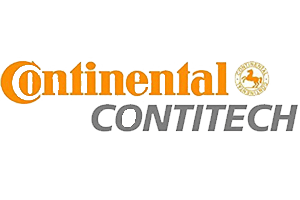 Conditions such as pulsation, vibration, shock loading and misalignment are common problems for drives, causing belt whip and belt turnover. Banded belts help solve the problems. HY-T® Wedge Torque Team® belts are Matchmaker® construction, providing assurance all ribs are evenly matched for peak performance. 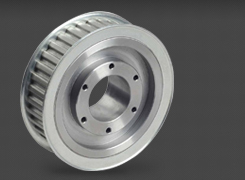 Vytacord® tension members are treated with the 3T process which removes excessive stretch and improves dimensional stability to provide predictable performance over the life of the belt. Cushion rubber is fiber loaded Wingprene® contributing heat and oil resistance and exceptional cord support. Backing fabric provides maximum longitudinal flexibility and lateral strength. 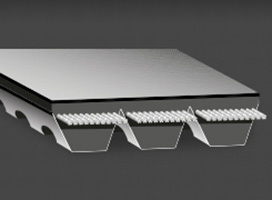 Under 118″ length Torque Team® belts have molded cogs for better heat dissipation and flexibility. 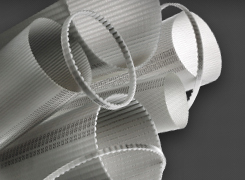 Belts over 118″ have continuous V-sections protected by Wingprene® impregnated fabric envelopes. Standard stock up to 5 ribs. Larger number of ribs available.